interesting library buildings — 1. the old Beverly Hills library, L.A.
With a new library building needed for Waikanae it seems appropriate to look at a few that have generated particularly positive feelings at home and abroad. There are many grand libraries in the world which would simply be inappropriate for Waikanae, but there are a few with interesting and not necessarily expensive architecture. 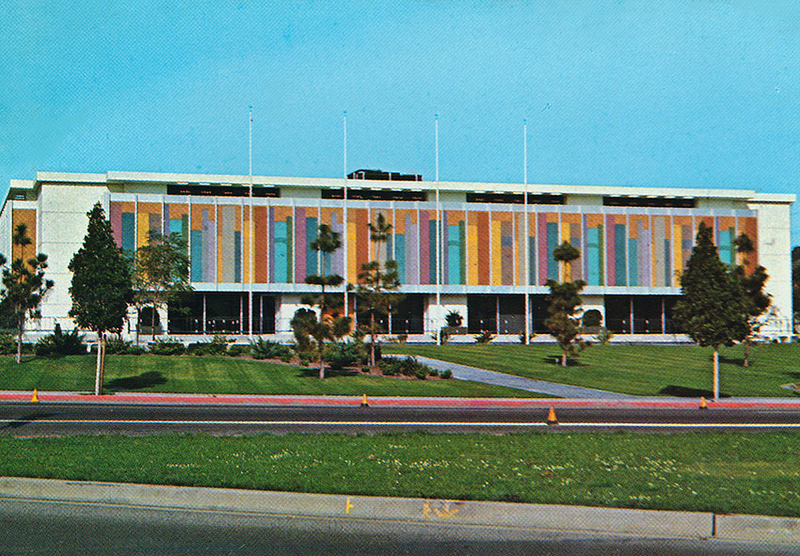 A postcard of the library not long after it opened in 1963. The translucent facade was designed to look like a row of books.